Any problems with the website? Please let me know. 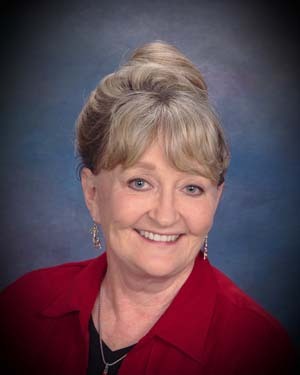 Dr. Marsha Fralick has worked in the field of education for over 48 years including 38 years of teaching college success courses. During this time she has worked as a community college counselor, professor and department chair. Her college success program has state and national recognition as an exemplary program. In 2011, she received the Outstanding First-Year Student Advocate award from the National Resource Center for the First-Year Experience and Students in Transition. She has a Doctorate Degree from the University of Southern California in higher education with an emphasis on career counseling, a Master's Degree in Counseling from the University of Redlands and a Bachelor's Degree in Spanish and English from Arizona State University. She is a frequent presenter at national student success conferences and currently works as an educational consultant doing faculty training across the country. Maintaining my good health, peace of mind, never being bored, being a good parent, making a difference in the world. I appreciate every day the gifts I have been given, including my intelligences, good health, and family. My purpose is to leave the world and the people in it in better condition because I existed. I enjoy seeing the world, loving my family, challenging my potential, and facing each day with a positive attitude. “Career Development in a College Success Course,” Monograph No. 55, University of South Carolina, National Resource Center for The First-Year Experience and Students in Transition, 2011. “Cuyamaca College,” Exploring the Evidence: Campus-Wide Initiatives in the First College Year, Monograph No. 49, University of South Carolina, National Resource Center for The First-Year Experience and Students in Transition, 2008. “College Success: A Study of Positive and Negative Attrition," Community College Review, 1993.